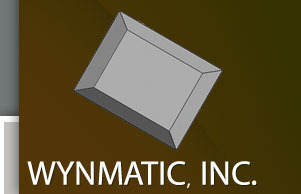 Welcome to Wynmatic, Inc. We hope you find the information here helpful and interesting. Many professional woodworkers now use our systems, and we would like to take this opportunity to thank our current users for their participation. Perhaps we can save you time and help improve your products too. Some of our products are now featured by Freeborn Tool Company, Inc.
We at WynMatic Inc. want to make available equipment designed for professional woodworkers that improves the end product with safety, ease of use and dependability always important. We also will not sell items that we would not buy ourselves. Our products are the result of solving problems we had, and we now share the methods with our customers. We have patent pending and our systems are made here in the USA using the best materials we can find. Primarily designed for use in the cabinet making industry, our products are also used for a number of different shop procedures. We are satisfaction oriented and have many existing customers who will take phone calls to verify that our products perform as we describe. Call us if you would like to contact any of them. It is our great pleasure to have our products used by woodworkers in a broad area. Wynmatic Inc. systems are now owned by shops from California to New Jersey and from Minnesota to Texas. We want our products to help you too!